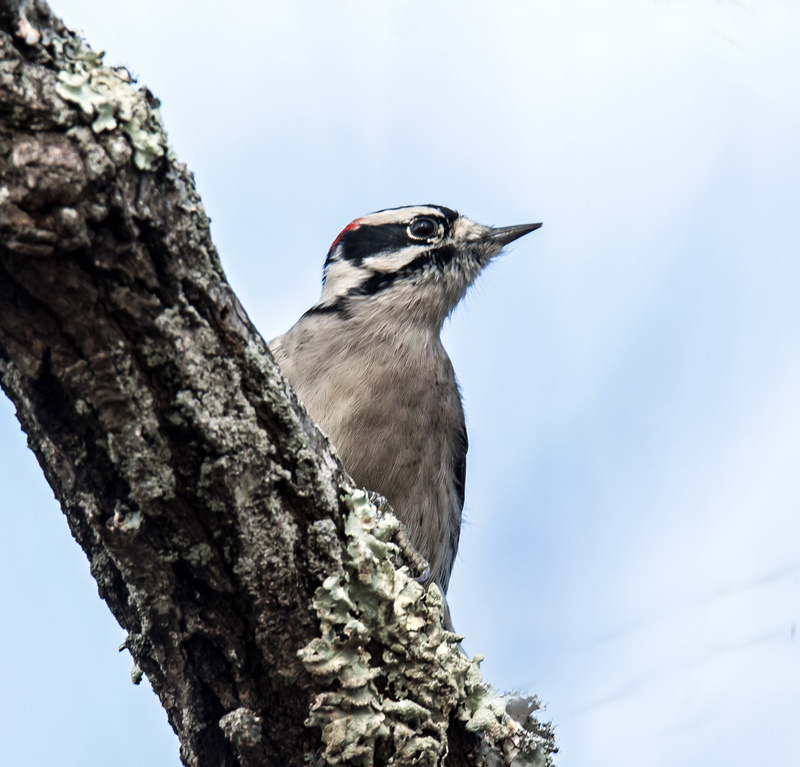 Downy Woodpeckers (Dryobates pubescens) are the smallest woodpeckers in North America. They more than make up for their lack of size, however, with their inexhaustible energy. Their constant motion makes them fun to watch, but a challenge to photograph. 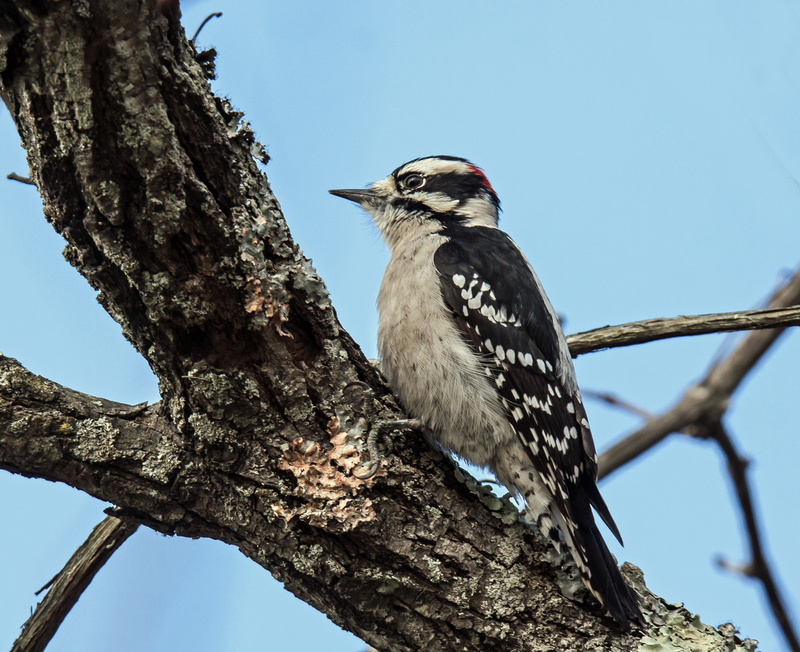 I spotted this male Downy Woodpecker earlier this week at Occoquan Bay National Wildlife Refuge. How do I know that it is a male? The males of this species have a little patch of red on the back of their heads and in each of these photos you get a small peek at the red on the head. Love the little spot of red on its head. Nice close up shots! The bottom photo is really nice, Mike. Great composition. Thanks, Dan. I was fortunate to just catch the woodpecker when he stuck his head out. I remember attempting to track him as he went up the back side of the tree, not knowing for sure how high up he had climbed. We see them around here, but I’ve never managed to get a picture. My wife might have, back in the film days.